Whether you're seeking reputable home remodeling services, general handyman services or even light commercial remodeling projects in Raleigh, NC - Allied Home Remodeling is the place for you! At Allied Home Remodeling, we over home remodeling services that range from custom bathroom remodeling, to custom kitchen remodeling and beyond. If you’re seeking a reputable residential and commercial contracting company in the Raleigh, North Carolina area, Allied Home Remodeling will provide you with the home renovation services you've been looking for! 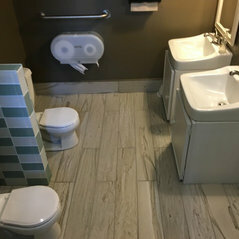 In addition to our home remodeling projects, our general contractors are experienced when it comes to light commercial remodeling projects for your business needs. 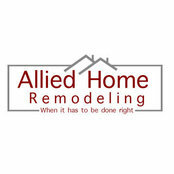 With over 27 years of experience, Allied Home Remodeling has been serving Raleigh, NC, neighborhoods as a family owned and operated business that is both licensed and insured. Our home remodeling services are catered to fit each individual customer's needs. Our custom bathroom remodeling contractors will work with you to ensure you're getting the bathroom of your dreams. Additionally, our custom kitchen remodeling contractors provide the same, reliable, quality services. 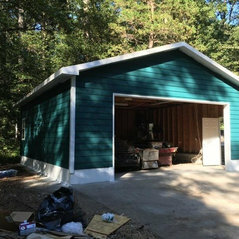 We have firsthand experience in both interior and exterior commercial and residential home remodeling services.